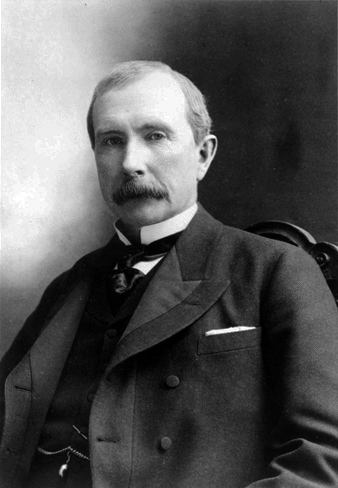 Rockefeller got into the oil business in 1863 and founded Standard Oil in 1870. He rapidly built the company into the first great U.S. business “trust” by buying out all competitors and vertically integrating all aspects of the oil business, from drilling, to refining, to transporting, to marketing. Rockefeller’s aggressive business practices provoked a federal response in the form of the Sherman Antitrust Act (1890). Ruthless as a capitalist, Rockefeller was also one of the world’s great philanthropists, contributing some $500 million to create the University of Chicago, the Rockefeller Foundation, and other charitable institutions.